New MVS Forums member and now MVS Contributor Darkfleet explains how he upgraded the headlights on his 1999 XC70. 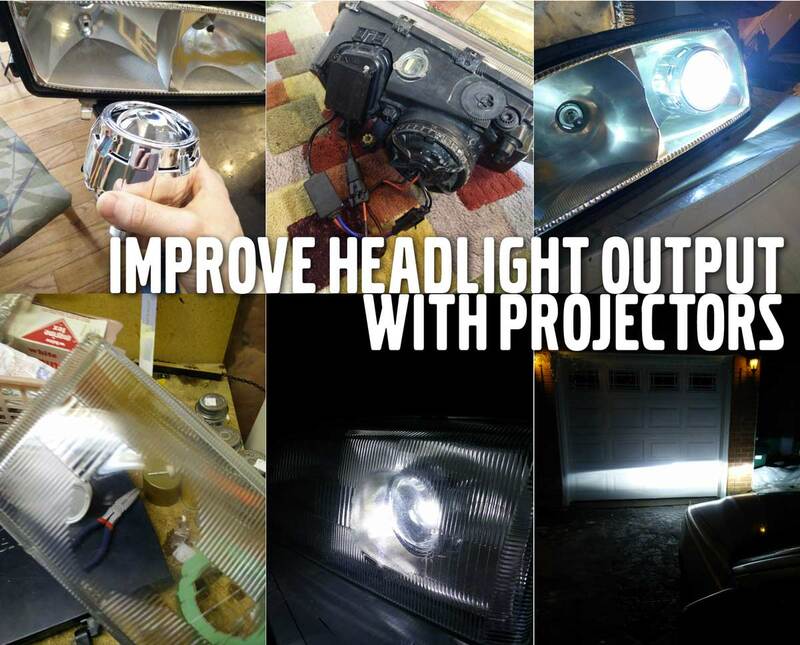 The DIY writeup joins a strong group of headlight upgrade and improvement tutorials and information like this one, this one, this one and this one. This writeup is tailored to his XC70, but this will work for the entire Volvo P80 family (1994-2000), and the concepts may apply for for even Volvo P2 models. I have spent a lot of time trying to figure out how to properly improve the lighting on x70 cars and IMO I think I have finally reached the best solution. I have tried a few different methods including LED bulbs, HID lights, modifying LED bulbs and even adding strategic plati-dip to the headlight lens all in order to reduce glare. From my research and experience, I tend to agree that if you are trying to improve your lighting, projectors (HID or Halogen) is the only option if your goal is not to blind others. Originally, I thought a projector retrofit was a complicated thing and with not a whole lot of Volvo specific projector threads – I kind of dismissed the idea. Anyways, long story short I installed projectors on my 99 V70 and here is the write-up. The light output has significantly increased and I get that beautiful straight cutoff with a little blue color flicker on the cutoff. There are also power savings going from 55w Halogens to the 35w HID’s. Headlight Projectors - A Substitute for HID? Previous PostPrevious Voluparts is an MVS Supporter! Next PostNext The New V90 Page is Up!